The Braves have always featured good, young pitching and in 2017 Sean Newcomb got to show the MLB what he was capable of. 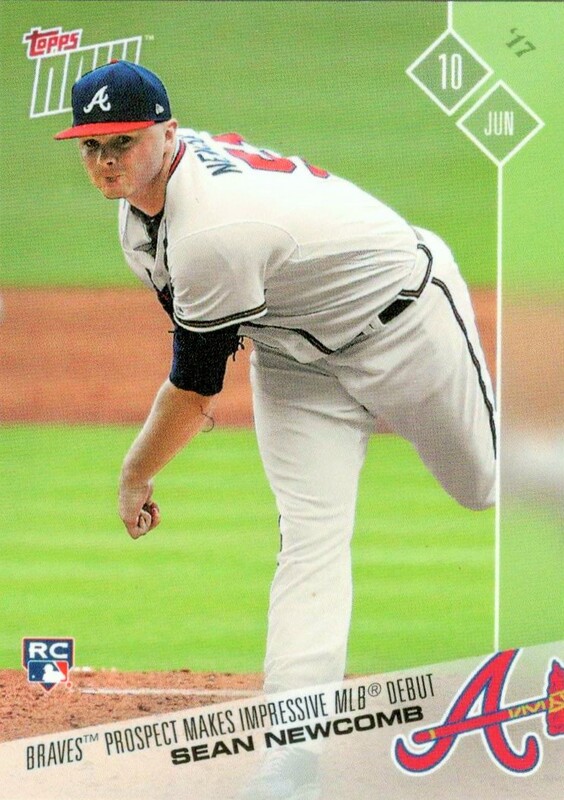 Against the Mets he went 6 1/3 innings, only surrounding 4 hits and 1 unearned run. Since then he has been pretty steady, though in 2018 he had some grip issues at times in high heat/humidity, but still appears to be part of the young starting rotation for the club moving forward. 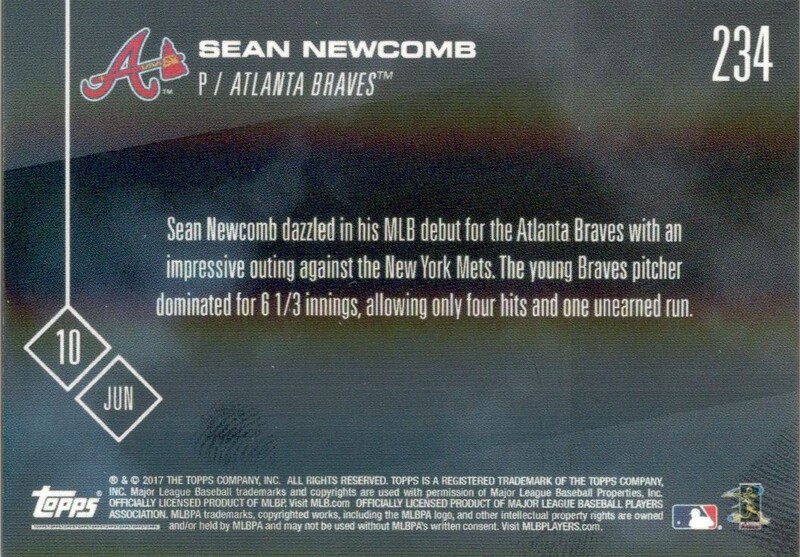 I'll also have to mention the low print run...that just happened to match the card number. 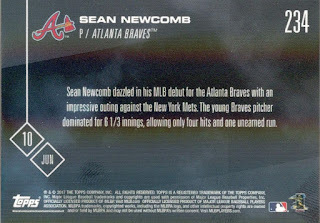 The Topps Now program has grown year over year and I find it a little refreshing that this RC of Sean has a low print run versus the crazy high print runs that Ozzie Albies and Ronald Acuna's cards received this year. I still love the program, but the some of the cards seem to be losing some of their "limitedness" (is that even a word?) with more and more people coming to the program and purchasing cards. None the less, I'm already looking forward to the 2019 season and the smattering of product that will follow.